Delicious doctor-designed meals delivered to your door! While it may be fun to put on an apron and whip up a fancy recipe, most of us don’t have time to do that every day. That’s why I partnered with bistroMD, because their meals honor a woman’s specific metabolic rate, they are doctor designed, as well as chef-prepared. What’s better? These gourmet meals are conveniently delivered right to your door. At bistroMD it’s not about eating less, but about eating better. Food works as medicine to correct metabolic issues which make losing weight difficult and gaining weight easy. The meals consist of a nutritious balance of lean, adequate protein, complex carbohydrates and healthy fats that are Eat Like a Woman® and Menopause Makeover® approved. What I love about bistroMD is they are not a fad diet and their meals are whole and complete, and do not require additional shopping, cooking, or calorie counting. In today’s modern world, bistroMD is a woman’s health and time solution. 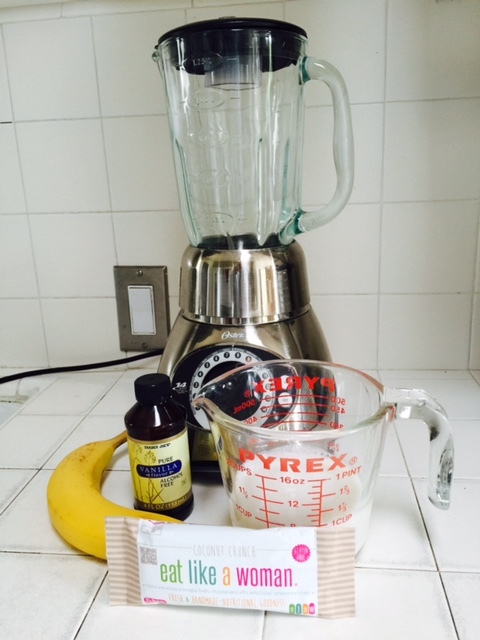 If you thought you couldn’t eat Buckwheat Berry Pancakes for breakfast, think again! The Pork Tenderloin with Plum Sauce is another favorite of mine. ORDER TODAY and get our community discount! Click on the image! Eat Like a Woman with bistroMD! Today the modern woman is busy, so I partnered with bistroMD because their meals honor a woman’s specific metabolic rate and they are doctor designed, as well as chef-prepared and conveniently delivered right to your door. The meals consist of a nutritious balance of lean, adequate protein, complex carbohydrates and healthy fats that are Eat Like a Woman® approved. 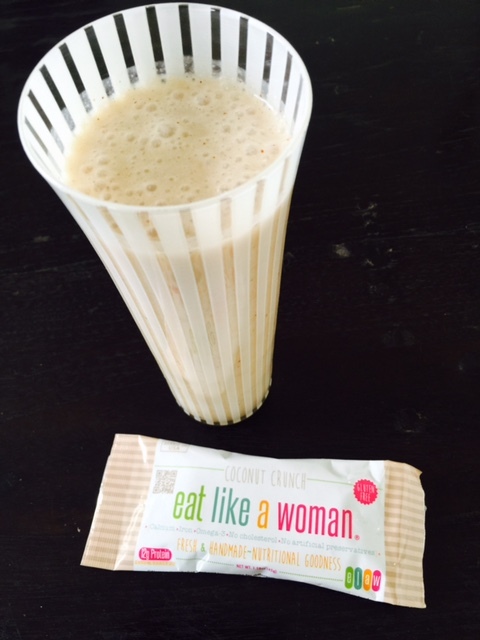 Be WELL, and if you are a woman…eat like a woman. *New members only. Does not include shipping and cannot be combined with any other offers. Start your Menopause Makeover TODAY with chef prepared meals by the number one meal delivery service* … BistroMD! Special for the Menopause Makeover community! I am excited to share a meal delivery service that honors the Menopause Makeover Food Pyramid, catered to women and our unique metabolism during menopause. BistroMD has a food program for women going through the menopause transition, including heart healthy and low sodium meals, and meals for women who are diabetic! I have personally selected BistroMD for my Menopause Makeover community because BistroMd was created by the highly respected Ed and Caroline Cederquist: the foodie and the MD. They believe food is medicine and that nourishing your body with the right nutrients will help you achieve a healthy weight. The power of science combined with GREAT-tasting, REAL food. BistroMD understands that the ability to manage your weight is affected by factors like your age, your hormonal changes, genetics and stress. They have over 200 delicious entrees that are hand-prepared by chefs and planned by registered dietitians. I love that you can choose your meals. 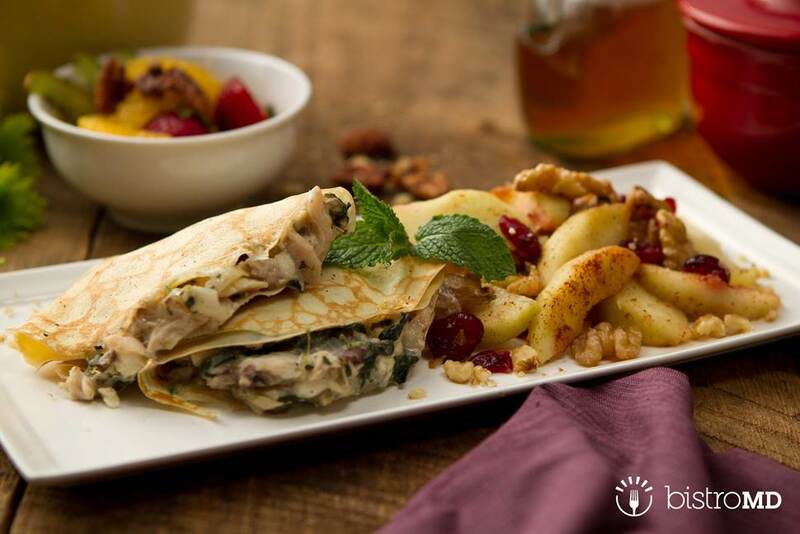 The Odyssey Chicken Crepes with Waldorf Apples for breakfast is a great way to start your day. Slide into lunch with the scrumptious Citrus Glazed Chicken and end the day with Jerk Tilapia Red Pepper Coulis – so yummy! They have a 5-day plan and a 7-day plan. I enjoyed the 5-day plan because I often meet friends out for dinner, and I would save my uneaten BistroMD meals for the weekend. As I was writing The Menopause Makeover sitting in front of the computer 10 hours a day, BistroMD meals kept me healthy and feeling full so I did not gain weight from grabbing poor food choices because I had no time to cook. There is no MSG, no trans fat, not freeze dried, and no aspartame in the entrees! Using natural ingredients and not altering their natural state makes BistroMD the perfect choice to start your Menopause Makeover! 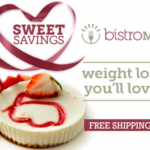 Get your own personal chef with BistroMD – it’s Menopause Makeover approved! ORDER NOW! Click on the image. 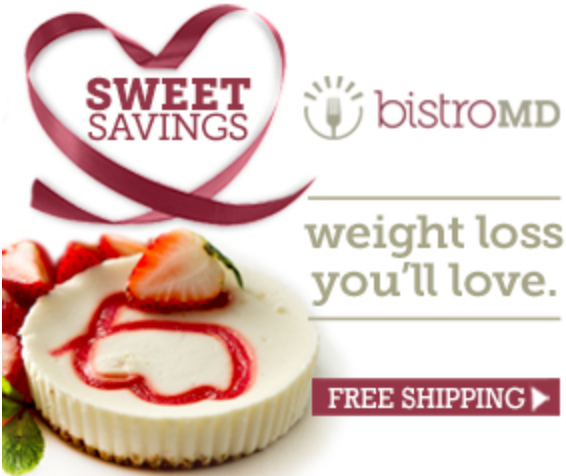 *In a blind taste test against other weight loss meal delivery programs, BistroMD ranks #1 with a 5-star rating from Next Advisor.com. BistroMD was reviewed and ranked the highest against Jenny Craig, Diet to Go, eDiets: Fresh Prepared, Biggest Loser, and Nutrisystem programs. BistroMD was the only meal delivery program rated five stars for all its meals—breakfast, lunch and dinner—in the taste test. 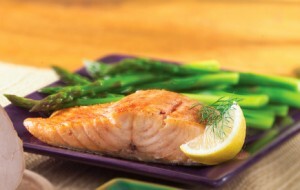 Start your Menopause Makeover with chef prepared meals! 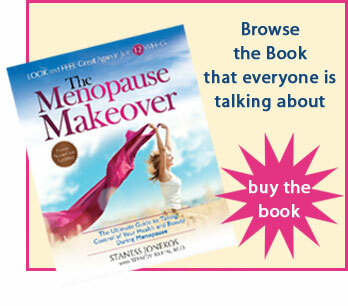 Special deal for the Menopause Makeover community! ORDER NOW and get our community discount! Click on the image. 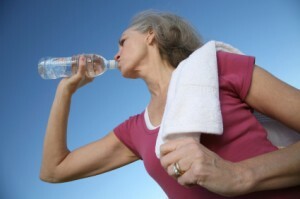 Do Menopause and Drinking Mix? Important information when purchasing food! Hormone disruptors are dangerous to your health. Our species evolved in an environment where, for a hundred thousand years or so, the molecules we encountered were natural and our bodies were able to metabolize them. However, in the mid 1800s, chemists began synthesizing carbon-based molecules that our bodies don’t break down, and some of these stay in our bodies for years. Today there are countless new artificial molecules in our environment, from those that make our hair smell nice or our fingernails look pretty, to cleaners or pesticides. 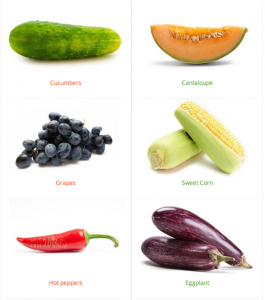 When selecting produce, choose fruits and vegetables that have the least exposure to pesticides. Apples, celery, and tomatoes typically have more pesticide residue than, for example, cantaloupe, sweet corn, grapefruit, or sweet potatoes. Is wheat the bad guy? It seems everyone is eliminating wheat from their diet. Some fear wheat is contributing to weight gain, and many are following the lead of popular celebrities and books. Brigham and Women’s Hospital published a great article on WHEAT FACTS below. Also learn more about general guidelines and a wheat allergy diet. Important info ladies. Wheat-free diets are endorsed by some celebrities and the focus of some dietary books; the premise being that wiping out wheat will whittle away unwanted pounds. No one food group, however, is the culprit for excess weight gain or the panacea for weight loss. Start your day with a cold cereal – look for whole wheat as the first ingredient. Try whole-wheat varieties of pancakes and waffles topped with fruit. Use whole-wheat pitas, breads or deli-flats when making sandwiches. Switch to whole-wheat pastas. Or as an introduction, mix some whole wheat into your regular pasta. Substitute half whole-wheat flour for recipes calling for flour. Top whole-wheat crackers with hummus, low-fat cheese, or nut butters. Wrap a whole-wheat tortilla around peanut butter and banana or eggs and salsa. These whole wheat versions will be more likely to keep you fuller longer, a helpful aid in keeping calories in check. Consider preparing this healthy and delicious recipe that features whole wheat couscous: Greek Couscous Salad with Walnuts. If you are allergic to the protein found in wheat, it’s important to read food labels and learn more about wheat substitutes. Learn more about general guidelines and a wheat allergy diet. Subscribe to their Health e-newsletter, click here. Most women will agree that going through “the change” can pack on the pounds. According to the North American Menopause Society, more than 70% of women ages 55 to 75, and 65% of women ages 45 to 55 are overweight (BMI greater than 25). More than 40% are obese (BMI greater or equal to 30). With the average age of natural menopause in the Western world being 51, it is no surprise many blame the menopause transition on weight gain and extra belly fat. What causes weight gain and that unwanted belly fat during these years? Until recently there was no scientific evidence that menopause was the culprit for your increased waist size. But now there is some evidence that menopause may be related to changes in body composition and fat distribution. Several studies have shown that menopause is associated with increased fat in the abdominal region as well as decreased lean body mass, independent of age. While the jury is out deciding if menopause is guilty, aging and lifestyle are mostly responsible. Lean body mass decreases with age, and burning fewer calories through less activity increase fat mass and weight gain. Not getting enough sleep, whether suffering from stress or night sweats, can cause changes in serum leptin and ghrelin levels increasing your appetite. 68,000 women studied in the Nurses’ Health Study found that women who slept five hour or less gained 2.5 pounds. Women sleeping six hours gained 1.6 pounds. 61% of peri- and postmenopausal women report suffering from insomnia. If you are suffering from night sweats affecting your sleep, discuss treatment management options with your healthcare provider. The optimal amount of sleep varies from person to person, but 6 to 9 hours of sleep is a good rule of thumb. The good news? Mid-life belly fat can be managed! Making lifestyle adjustments can put you in the healthy BMI category (18.5 to 24.9). Eat lean proteins, low to medium glycemic carbohydrates and healthy fats, combined with exercise most days of the week for 30 to 60 minutes can do the trick. Limit your intake of saturated and trans fat and cholesterol. Do not over consume beverages with sugars and caffeine. 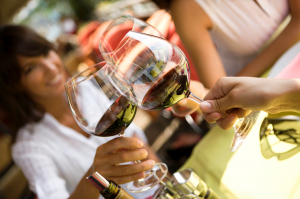 Consume alcohol in moderation – some research has shown that red wine can have health benefits. Decrease salt and processed foods. When you dine out, take half home for lunch tomorrow. These are all good common-sense strategies that work for everyone, but they are non-negotiable for menopausal women. It takes commitment and effort to make lasting change. If you do the work, you will maintain a healthy weight and manage that unwanted belly fat. This is also an important time to work closely with your healthcare provider. Increased weight and belly fat can increase your risk of getting type 2 diabetes, CVD, stroke, hypertension, and some cancers. It is important to set realistic goals. If you expect to look like your 20s, you may be disappointed. With a loss of skin tone and muscle mass from aging you just won’t look that same naked, but you are not alone. 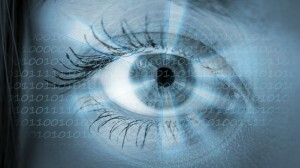 Men too suffer from similar aging frustrations. Focus on health, and you will feel happier about your body. Fiber can help you lose those unwanted menopausal pounds – it was my secret weapon to weight loss! Fiber is the part of plants that cannot be digested. When you eat fiber, it passes through your body virtually unchanged. Apples, strawberries, blueberries, pears, cucumbers (not pickles too salty),celery, tomatoes, oatmeal, oat bran, lentils, beans, zucchini, brown rice, barley, Brussel sprouts, cauliflower, beets, couscous , whole-wheat breads and cereals, seeds. The USDA recommends that you get at least 25 grams of fiber a day, but most of us consume less than 10 grams per day. Try to include some fiber at every meal, and make fruits and veggies part of your daily snacks. Is drinking coffee making you fat? Used over the long term, caffiene actually reduces your metabolism. You come to need increasing amounts of caffiene just to stay alert. The slower metabolism actually causes you to gain weight on less food. 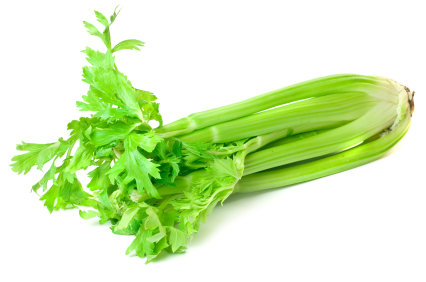 It raises cortisol levels in the body. Cortisol is a hormone that is responsible for fat storage in the body. It causes your blood sugar to spike. Then after the caffeine begins to wear off your blood sugar plummets. This causes you to crave sugar. In other words you think your hungry when you’re really not. This is obviously counterproductive to your weight loss goal. Have you ever noticed you crave carbohydrates after a cup of coffee. This is why. Your body is tring to get you to eat some carbohydrates to get your blood sugar back to where it should be. The end result of caffeine is really fatigue. After caffeine wears off you are tired. Then you have more caffeine. Then you are tired. By the end of the day most people who drink coffee are exhausted and they dont know why. This fatigue makes it difficult to exercise which is a one of the most important ways we should be getting our energy. Coffee not only is proven in women to add fat to the body, it has also been proven in studies that people who drink coffee sleep much less. Also, many of us use creamers and/or sugar = more calories. Coffee will dehydrate you. Depending on your intake of coffee, you may be ruining all that extra water you have been drinking to reduce your body storing water. People who drink too much coffee may have some stomach problems. The caffeine irrates the lining of the stomach as it has a heavy acidic content. Caffeine may also cause the body to lose calcium, and that can lead to bone loss over time. Drink one cup or less of caffeine a day and enjoy lots of fresh water! This simply delicious recipe is high in protein, low in glycemic carbs, and rich in healthy fats– a perfect fit for The Menopause Makeover! 1. Rinse and dry the salmon filets and set aside. 2. Whisk egg whites with a fork in a wide shallow dish and set aside. 3. Place the Kashi crackers in a coffee grinder or mini food processor and grind finely. 4. Combine the finely ground Kashi® crackers, poppy seeds, salt and pepper on flat plate and set aside. 6. Heat olive oil in a large non stick pan that can hold all 4 filets and sear the filets over medium high heat for 2-3 minutes on each side to brown. Are you counting calories or nutritional value? Counting calories helped me conquer the menopause bulge! Thanks to Dr. David Katz, director and co-founder of the Yale Prevention Research Center who created a nutritional scoring system called NuVal, I was able to watch calories and eat nutritious foods! 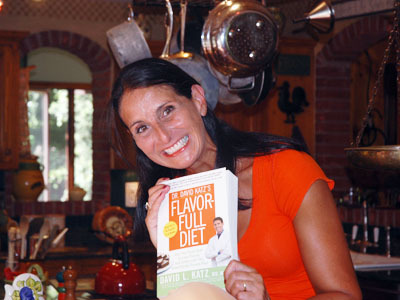 Dr. Katz, nutrition columnist to “O” Magazine and medical contributor for ABC News, created NuVal to make your life easier when making food selections. If you ask yourself “what are the healthiest breads, snack bars, cereals, and pastas,” then Dr. Katz has a solution for you. Should you buy wheat or oatmeal bread? Are pretzels more nutritious than tortilla chips? These are the decisions that NuVal scores can help you make – in seconds – as you’re walking down the supermarket aisle. NuVal is currently in use in more than 525 supermarkets in 18 states. Click here for grocery store locations. 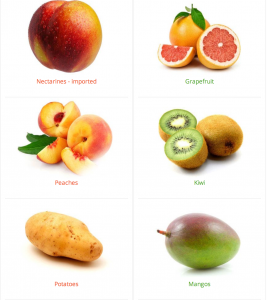 The Nuval Scoring System assigns the healthiness score to various food items on a scale from 1 to 100. The scale uses criteria like vitamins, minerals, antioxidants and healthy omega three fat content in the rating. Also, the system takes into account the sugar and cholesterol content of the food. The Menopause Makeover supports good nutrition, and the NuVal scoring system can make your life easier when making food choices. Do you know the healthiest breads or salty snacks? You may be surprised. 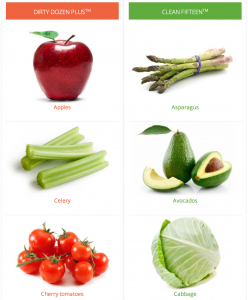 Click here for the scores of your favorite foods. Recently, The American College of Preventive Medicine (ACPM), a leading organization of some of the country’s top physicians committed to preventing disease and promoting health, has officially endorsed the NuVal Nutritional Scoring System as an easy and effective way to help consumers learn about the foods they buy. It is never too late to improve your health with good nutrition. 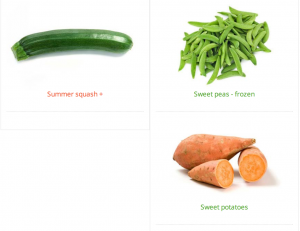 NuVal takes all the guesswork out of identifying truly more nutritious food. When you are battling the menopause bulge, good nutrition is the ticket to good health. NuVal is Menopause Makeover approved! 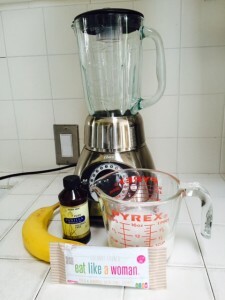 Menopause Makeover approved recipes from Hungry Girl! When it comes to food, I have a confession – I LOVE Hungry Girl. Hungry Girl says, “I’m not a nutritionist, I’m just hungry.” Sound familiar? Lisa Lillien, aka Hungry Girl, struggled with weight issues most of her life and over the years accumulated tons of diet and food tips. After getting her weight under control she dedicated her time to finding ways to eating super delicious foods using yummy recipes supported with nutritional information that keep your taste buds happy and calorie intake reasonable. Lisa considers herself a “foodologist,” an educated eater and committed to real-world food survival strategies. Lisa is a real gal struggling with the same food issues most of us struggle with everyday. Of course Lisa is way younger than I am and nowhere near menopause, but I love her recipes and they work with the 8-step, 12-week Menopause Makeover program. I want to share two of my favorite Hungry Girl recipes from Lisa’s latest book, Hungry Girl: 200 under 200: 200 Recipes under 200 Calories. Both recipes are less than 200 calories, made by using lean protein choices, they are easy to make, and honor The Menopause Makeover Food Pyramid. Eating five to six mini-meals a day keeps your feeling full and can help speed up your metabolism – a good thing when you are fighting the ever-expanding waistline dilemma during menopause. 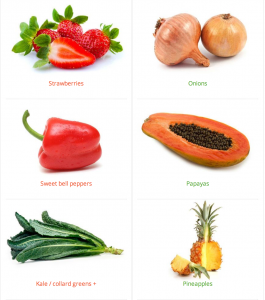 Healthy eating should be a lifestyle during menopause and beyond! Click here to find out if you are at a healthy weight. Line a deep, round casserole dish (about 9 inches wide) with aluminum foil. Spray lightly with nonstick spray, making sure to coat the sides as well as the bottom. In a large bowl, combine egg substitute, milk, cumin, and taco seasoning. Whisk mixture for 1 minute, until mixed thoroughly. Add all of the other ingredients and mix well. Carefully transfer egg mixture to the casserole dish. Bake in the oven for 60 to 70 minutes, until the top has puffed and the center is firm. Allow to cool slightly before cutting. Cut into four slices. If you like, finish off with the optional toppings – we highly recommend ‘em! I have been enjoying Hungry Girl’s newsletters for the past three years. I’m excited to share Hungry Girl with YOU! You can subscribe to Hungry Girl’s daily newsletter and get news, food finds, recipes, and real-world survival strategies. It’s great waking up to her daily emails. Enjoy these Menopause Makeover approved Hungry Girl recipes! 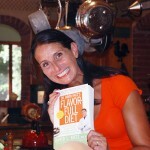 Yummy Recipes, Menopause Makeover APPROVED! After two years listing my personal favorite recipes honoring The Menopause Makeover food pyramid, I am thrilled to dedicate this section to guest chefs and their favorite recipes, entertaining ideas, and healthy cooking tips. Our first featured guest is Dana Slaktin, chef of the famous Shutters on the Beach Hotel in Santa Monica, California, and author of The Summertime Anytime Cookbook. Dana gradated from the Culinary Institute of America, and has worked in acclaimed kitchens in France and New York. She launched the Beverly Hills Farmer’s Market and has her own line of food products. Successfully combining elegance with delicious easy-to-prepare dishes that are healthy, Dana lives in Los Angeles with her husband and three gorgeous children. 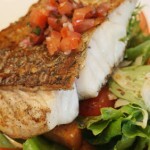 Recipe #1: Dana’s roasted halibut with fennel-tomato sauce recipe is easy to make and absolutely delicious. This roasted halibut recipe is high in protein, and low in fat. Serve with steamed greens and you have a perfectly balanced meal that is low in calories that will honor your Menopause Makeover. Recipe #2: Another fabulous favorite from Dana’s cookbook, Asparagus Egg White Omelet, will kick the day off with a low calorie, high protein blast leaving you feeling full for hours! Lisa Lillien, founder of HungryGirl.com, will be our next guest “foodologist!” Lisa’s guilt-free recipes can be found in her upcoming book, 200 under 200. Yep, that’s 200 hundred recipes, under 200 calories! During the menopause transition, every calorie counts. Lisa is a hungry girl like the rest of us, but she has managed to create sinful recipes that are low calorie and tasty, so you can meet your food goals. Lisa’s new easy-to-use cookbook, 200 under 200, can be purchased at The Menopause Makeover Store, click here.